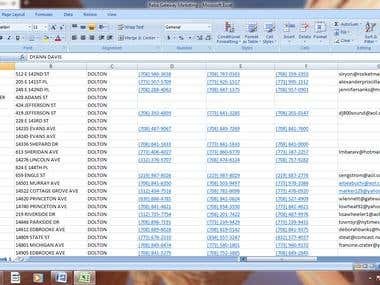 Data Entry MS Excel/ MS Expert. Hello, My name is Jay Khanna. I work as a data entry person. I have good knowledge in excel, word and in web research. I have 1 year experience working in MS excel, Word and web research. I provide following data entry services. 1. Transcribing PDF into MS excel and MS word. 2. Typing in MS Excel and Word. 3. Web Research 4. Data Collection 5. Data Scrapping Work with me and get your project done without any error. Worked as a Data entry person.